This article is about the transportation of illegal liquor. For the computer use of the term bootlegging see Copyright infringement of software. Rum-running, or bootlegging, is the illegal business of taking alcoholic beverages where they are against the law. It is usually done to evade taxation or prohibition laws. Rum-running usually means smuggling over water. The term is thought to come from the start of the Prohibition era in the United States. This is when ships from Bimini in the western Bahamas transported cheap rum to Florida to be sold illegally. But there was little profit in cheap rum. 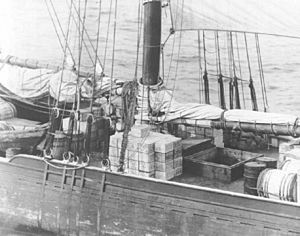 They soon started smuggling Canadian whisky, French champagne, and English gin to major cities like New York City and Boston. This gave them a high profit. 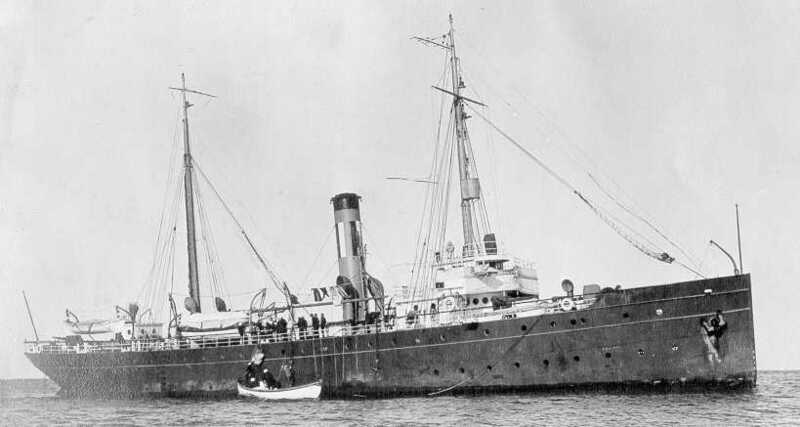 It was said that some ships carried $200,000 worth of alcohol in a single trip. Bootlegging usually means smuggling over land. It is thought the term "bootlegging" started during the American Civil War. Soldiers would sneak liquor into army camps by hiding bottles of liquor in their boots or under their trouser legs. Rum-running Facts for Kids. Kiddle Encyclopedia.